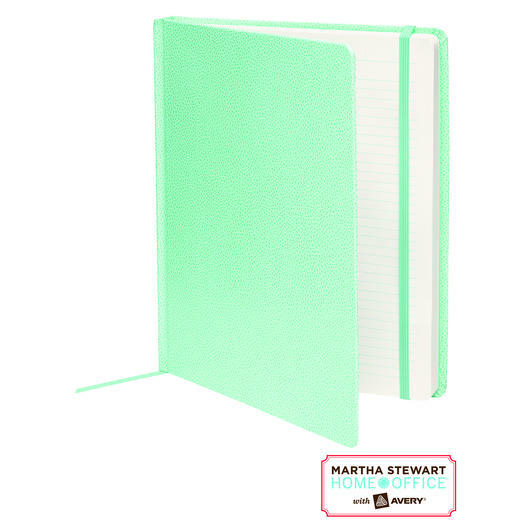 Martha Stewart Home Office™ with Avery™ journals and notebooks are indispensible for everything from recording travel memories and children’s milestones to organizing special occasions. A large premium shagreen journal, with more than ten pages of entertaining tips from Martha Stewart, is the perfect place to plan menus and guest lists for a party. Pair the journals and notebooks with removable NoteTab™ dividers to label different sections. Available exclusively at Staples starting February 2012 and on Staples.com. Become a fan of LAB’s Facebook Page. Then leave a comment on the wall saying you entered the Martha Stewart Home Office Desk Organization giveaway. Tweet this message: “Hope I win the @Staples Martha Stewart Home Office giveaway from ladyandtheblog.com (@verasweeney). RT to Enter #contest #giveaway”. Fan Staples on Facebook and leave this link on their wall saying you are entering the Martha Stewart Home Office Journaling giveaway on ladyandtheblog.com. Tweet this message: “Hope I win the @MarthaStewart Home Office giveaway from ladyandtheblog.com (@verasweeney). RT to Enter #contest #giveaway”. Fan Martha Stewart Living on Facebook and leave this link on their wall saying you are entering the Martha Stewart Home Office Journaling giveaway on ladyandtheblog.com. I like Martha Stewart Living on fb and left the message.